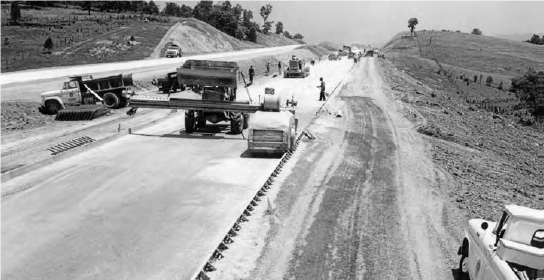 With the region’s increase in population and industry along the spines of I-81 and I-64, the CSPDC created its first Transportation Planning Program in 1971. This established a two-year plan to inventory and analyze the transportation network, and develop recommendations for new projects. Over the last 50 years, the CSPDC region has evolved from being mostly rural, dotted with small cities and towns, to a region with two metropolitan planning areas, seven institutions of higher learning, two regional medical centers, three public transit systems, and a busy regional airport. The PDC has worked with the state and localities to develop corridor and access management plans, write grant applications for bicycle and pedestrian facilities, develop regional long range plans, and is still the only Planning District to form and administer two Metropolitan Planning Organizations and operate a public transit system. Today the region’s transportation investments are multi-modal, but still focus on the goals of improving safety, supporting economic development, and ensuring access to jobs and services.